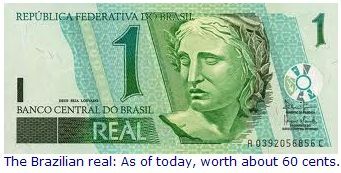 The U.S. Federal Reserve, despite all of the recent criticism over quantitative easing and its bailouts of huge corporations, foreign and domestic, receives a loud and clear vote of confidence in this article by columnist Lourdes Sola of Brazil’s Estadao. According to Lourdes, the FED’s independence and effectiveness at moments of crisis make it a fitting template for up-and-coming Brazil’s central bank. Those with an ideological bias or Anti-Americanism lose sight of two relevant points. One, the importance of debating the Central Bank’s institutional design. Two, what we can learn from the United States. For it’s in times of systemic crises that the institutional design of an institution is put to the test. It’s at such times that it reveals its capacity to absorb shock without institutional breakdown or losing its effectiveness in terms of governance. Today’s global crisis shows that the FED’s flexibility is inherent in its institutional design, i.e., the FED is inseparable from its dual mandate. Under the impact of the crisis in the 1930s, U.S. lawmakers delegated to the FED chairman and the board he presides over the responsibility and (awesome) power to reconcile economic stability with maximizing employment and remaining in tune with prevailing circumstances. Which is why faced with runaway inflation in the 1970s, its then Chairman Paul Volcker could target the goal of stability; while today, without violating the Constitution, Ben Bernanke can favor maximizing economic activity and employment. If we didn’t have anti-Americanism, we have to appreciate the advantages of the FED’s flexible design.